At Cultivate Kansas City (Cultivate KC), we grow food, farms, and community in support of a sustainable, healthy, and local food system in greater Kansas City. We believe that every eater, regardless of income level, has the right to eat healthy, delicious food grown by local farmers. So often, individuals and families who rely on assistance are restricted to less healthy options because every dollar is stretched to avoid hunger. Choosing between a healthy meal and hunger should not be a decision that any member of our community should have to make. Nutrition incentive programs, like Double Up Food Bucks Kansas City, provide the opportunity for every family to have the best food options, despite their income. In 2010, Cultivate KC started the Beans&Greens program in partnership with the Menorah Heritage Foundation to address the issue of limited access to fruits and vegetables among low-income residents. The Beans&Greens program provided matching funds for each Supplemental Nutrition Assistance Program (SNAP) dollar spent at local farmers markets, allowing families to double the amount of fresh, local fruits and vegetables they could take home each week. 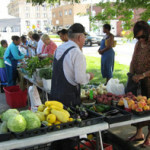 In 2015, Cultivate KC took over the Beans&Greens program and partnered with the Double Up Heartland Collaborative, a group comprise of Mid-America Regional Council, Douglas County – KS, and the Fair Food Network, to apply for the USDA Food Insecurity Nutrition Incentive (FINI) grant program. In the spring of 2016 the Collaborative was awarded the FINI grant and received generous local support from foundations like the Health Forward Foundation and county governments through matching dollars. As a result we were able to dramatically expand the reach and scope of our nutrition incentive programs. The benefits of nutrition-incentive programs stretch far beyond the scope of providing healthier foods to low-income residents. Through nutrition incentives, recipients are provided the opportunity to choose the foods that are right for themselves and their families. The ability to provide the best food to loved ones has the power to strengthen a caregiver’s confidence and sense of self-worth. Parents who receive assistance often feel like they are limited in what they can give in other areas of their lives, but through nutrition incentive programs they know that they are providing the best possible food options to their children and other family members. We at Cultivate KC also know that the time spent at the market is quality time spent with family. Spending a Saturday at a local market with your children and meeting the people who grow the food we eat can create a lasting impression and helps build happy memories centered around healthy food options. 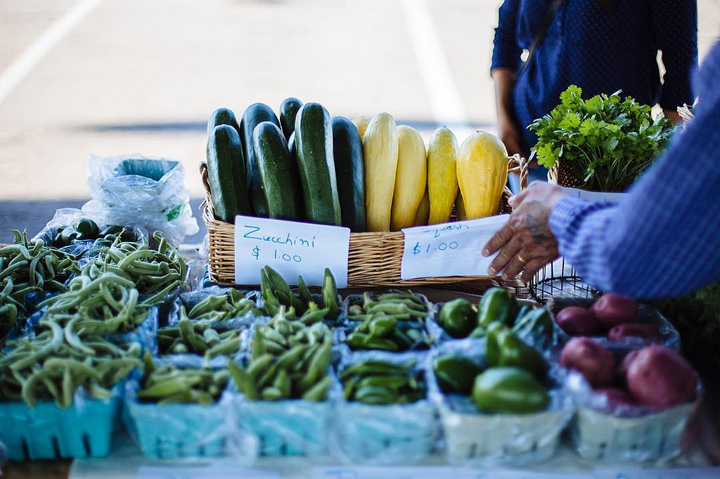 In addition to Double Up, Cultivate KC partners with the White Family Fund via the Menorah Heritage Foundation, to provide matching dollars to seniors who use the Kansas Senior Farmers Market Nutrition Program. We also work with El Centro to provide incentive dollars to Spanish-speaking residents who complete their healthy options course. 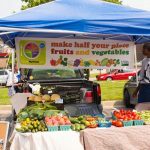 Since 2010, we have driven over $1.7 million in local food purchases by low-income families at over 20 markets in the greater Kansas City area. Through nutrition incentive programs we are making buying and eating healthy produce a realistic, desirable option for all members of our community. I would like to know how to make these programs available for our farmers market in Smithville. We are just a few minuets north of KCMO and are a new, small market, but would love to have programs like these available for our customers. Thanks. Thanks for your comment, Trinda! You should contact Katherine Kelly. She’s the executive director of Cultivate KC and will be able to help you with your questions. You can find her email address on this page of their website: http://www.cultivatekc.org/about/who-we-are.html. Good luck!